Photograph made with Pentax K10D camera. It seems you liked these boots too, (I saw them in the other photo). I like the close-up view. Congratulations!!! You are a TOP TEN winner in the Footwear – shoes, boots, sandles, slippers challenge in Cee’s Fun Artsy Friends Group. Wow, it is such a great honour to have two of my works invited for this great event! Thank you so much, Tori, I’m thrilled to participate, together with so many great artists, members of your wonderful group! Your effort and support to our work is so much appreciated! Thank you! Thank you so much Evita, I’m really delighted to be a part of this great event! Cool image! Congratulations on your nomination! Wow – so much character and originality. Love the story in these boots. Congratulations on your nomination. 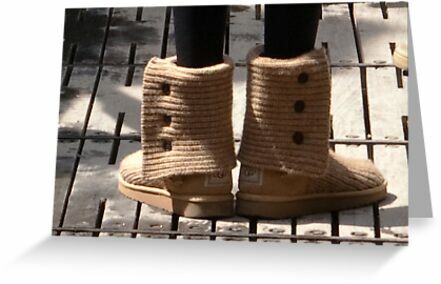 I definitely can’t say UGG to this one! 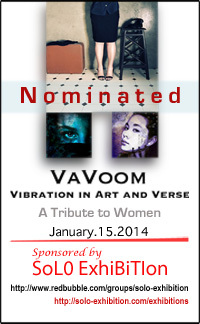 Well done Steppe and Congrats on your “A Tribute to Women” nomination!